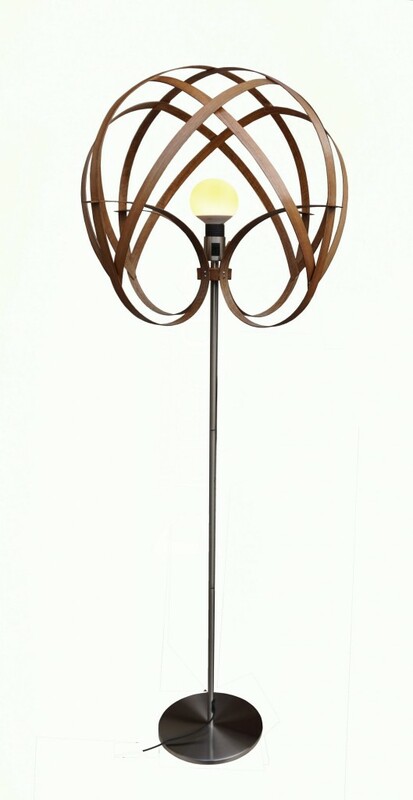 A stylish floor lamp from walnut with metal stand. 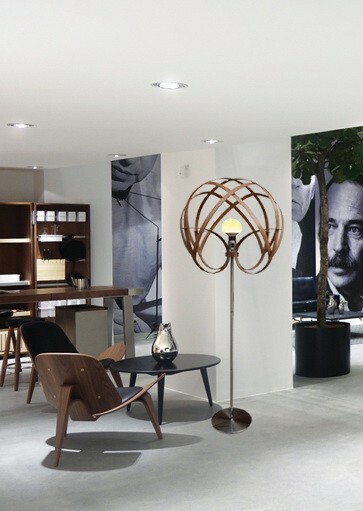 A stylish wooden floor light from walnut with metal stand (solid steel - chrome mat). Bended strips of walnut wood allows the creations of unique shapes. The form of lampshades intercepts the light and creates twisted shadows, which gives the room a stunning light effect. Made by hand in our workshop, from sustainably sourced wood and finished with an eco-friendly, non-toxic varnish.